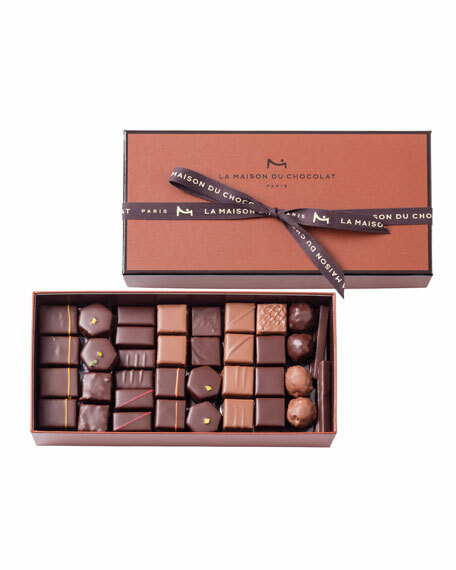 73-piece refined gift box is composed of an assortment of ganaches, pralinés and almond paste, in milk and dark chocolates. 9.3"W x 4.5"D x 1.7"T.
Allergen Information: Contains dairy, soy, and tree nuts. Please note that our assortments are alcohol free.